Enjoy masterfully fitted Venetian blinds when you turn to blind installers who possess more than 60 years of experience in the trade. Based in Filton, Bristol, our company deftly supplies an attractive range of durable Venetian blinds. 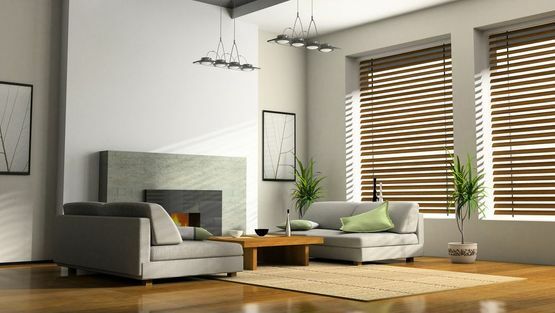 At Bristol Blinds, we supply Venetian blinds composed of aluminium wood and faux-wood PVC. Whether you're looking for a solution or require made-to-measure blinds, our skilled team is on hand to assist you. Stylish and practical, our Venetian blinds are available in a range of colours. The real wood and faux-wood blinds we provide are available in a variety of stunning wood tones, as well as some additional shades. This makes them ideal for bathrooms, kitchens, and conservatories. Truly long-lasting, these hardwearing blinds may be used for great lengths of time without displaying any noticeable wear and tear. When you'd like to see our quality blinds first-hand, don't hesitate to visit our approachable showroom. Working closely with you, we'll help you to discover your preferred materials and styles. Other blind varieties, such as vertical blinds, are also on display for you to consider. To place an order, feel free to get in touch with our friendly company. Discussing your requirements, we'll arrange to visit your property and take the measurements required for your blinds. Alternatively, we'll happily accept your measurements when you've already got them to hand. Then, we'll provide you with a free quotation for the cost of our quality Venetian blinds. Thanks to our exceptionally competitive prices, you're sure to discover blinds that suit your property perfectly. Because we provide a comprehensive service that guides you from start to finish, you'll have no problem discovering your ideal blinds when you turn to our expert assistance. 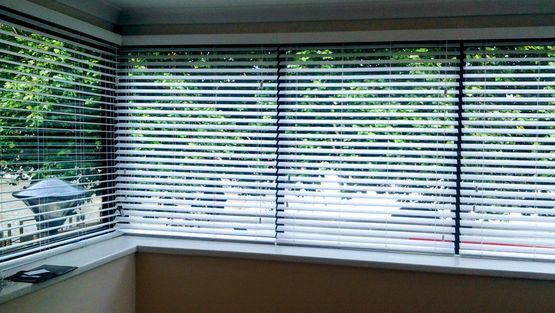 Contact our blind installers today, in Filton, Bristol, for further details about the excellent Venetian blinds we install.